Once you’ve written a new blog post, the real fun begins. It’s time to tell everyone you know about it! I’ve compiled a huge list of places you can share or syndicate your post once you’re done with it. Some are obvious, some are niche, and some you’ve never heard of before. Explore them all and figure out which fit! These are the basic social media sites, and are mostly obvious choices. Some will require you to adapt your content to fit on their platform, and that’s okay. Multimedia versions of your content help it reach a wider audience. Facebook – Needless to say, if you don’t have a Facebook page up and ready to go, you have a lot to learn about content promotion. If you do, schedule a post with your new blog post, complete with a custom image, and make sure to follow up on any comments. Twitter – Twitter is second only to Facebook in terms of social networks you need to be using. The difference is with Twitter, you can post your link 2-3 times in a day, as long as you spread it out across several hours. You can also re-post in the week following, to get as much additional attention as possible. Google+ – For a long time, Google+ was heavily emphasizing tech users, because that’s who adopted it for SEO benefits. In recent years, however, it’s become much better for general interest blogs. Build some circles and post your links regularly. Instagram – Instagram is unique in that you need a mobile device, or an emulator like Bluestacks, in order to post. You also need a compelling image attached to your link. For all that work, you end up with some of the highest engagement rates available socially. Pinterest – Pinterest pinboards are great for certain niches, typically the DIY, crafting, and general female interests. They aren’t as useful for marketing, tech and SEO posts. If you have a primarily female audience, Pinterest should be a priority. 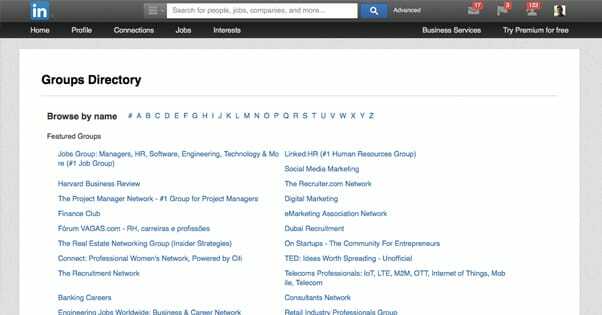 LinkedIn – Primarily for a professional and tech audience, LinkedIn is great for more than just job networking. You have a personal social feed and can fill it with posts you make just for the site, and with links to content you curate from elsewhere. SlideShare – First of the multimedia conversions, for SlideShare you want to adapt your blog post into a slideshow, like PowerPoint. Don’t just paste in all the content page by page; summarize it, explain it, and direct people to your link for a deeper analysis. YouTube – Next on the multimedia conversion train is YouTube, which you can use to convert your blog post into a video. Videos are easy to embed and share, and you can include a link to your blog post as an annotation so it’s always there for viewers as well as readers. 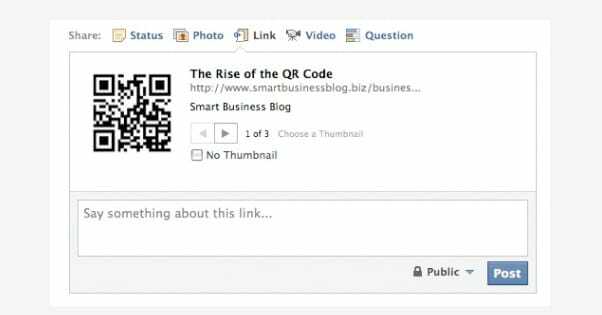 As an added bonus, you can post your video on Facebook natively, so users can share it easily there as well. Avoid trying to share YouTube links on Facebook; they demote them in favor of native Facebook video links. Triberr – Billing itself as a social network for influencers, Triberr allows you to build industry-specific marketing circles and raise a community around mutually sharing content. If you can get started, it’s a great little source of traffic from other bloggers. Tumblr – A social blogging platform catering mostly to teens and young adults, Tumblr requires a specific outlook on marketing. You either need to make useful content that can be shared as a resource, or you need to go crazy like Denny’s. If you can do either, Tumblr can be a great source of traffic. Ello – Ello came onto the scene last year as an attempt to kill Facebook by siphoning away its users with the promises of an ad-free platform. Ad-free, however, doesn’t mean you can’t use it for community building, traffic, and marketing. Give it a shot and see if your users like it. Imgur – Imgur is like a cross between Instagram, Reddit and Twitter; you post a picture as the primary focus and whatever supporting text and pictures you like. Then comments with character limits are posted and sorted by votes. It’s not really great for a dialogue, but it’s pretty good for traffic. These social networks are not for everyone! None of them have much if any following in the United States, but can be found throughout South America, Europe and Asia. If your business is global, or you have a significant presence in a foreign country, check out what social networks they use. 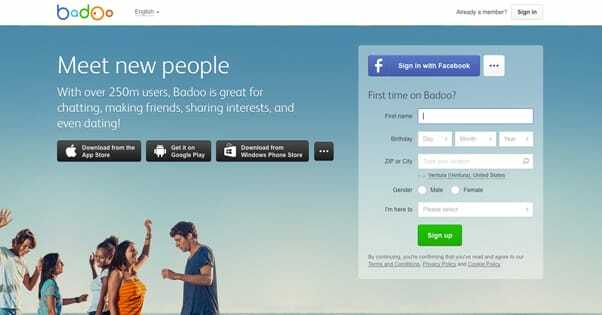 Badoo – Badoo is one of the more popular and widespread social networks in Western Europe, with a growing presence in Eastern Europe as well. It does have an emphasis on encounters and chat, which makes it unique for marketing. Bebo – Bebo is a primarily English social network, in the sense that it’s very popular in the United Kingdom but not really anywhere else. Cyworld – Cyworld is a site very similar to what Myspace was and wanted to be, back before they had to rebrand themselves and collapsed. It’s focused almost entirely on a South Korean audience. MiGente – This site is very much like a Facebook or a Google+ but for the Latin American crowd. Use it accordingly. Orkut – Orkut was one of the most popular social networks in the world, focused almost entirely on Brazil. Rather than try to fight into that market, Google removed their Brazilian Google+ implementation and just bought Orkut, so it’s now a Google property. Vkontakte – A Russian social network with tendrils in Eastern Europe and North Asia, VK has a troubled history but a deathgrip on that section of the world, in terms of social networks. Studivz – This Facebook knock-off is popular primarily in Germany, and is mostly used by students, the way Facebook was when it first started life. Social bookmarking is distinct from social networking because the sites are designed around curation, rather than interaction. They begin with a link, and discussion takes place based on that link. Put your link on one of these sites, and follow up on the discussion, for a huge traffic boost. Digg – Once upon a time, Digg was the go-to social bookmarking site, so much so that it kicked off the entire trend. It still exists, but has gone through several major changes, and has become a weird reflection of its former self. It’s still good for traffic, though. 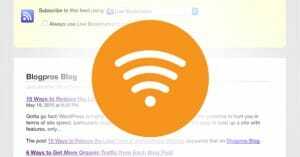 Reddit – Reddit is possibly the largest and most useful social bookmarking site in history, with millions of users and nearly as many sub-sections for content. Find subreddits, as they’re called, for your industry. Then become an active user in those subs, peppering in your own content with other interactions. Delicious – Formerly the period-peppered del.icio.us, Delicious rebranded themselves to remove the early 00s aesthetic and become a social bookmarking site for the modern age. This makes them firmly on par with Digg and less popular than Reddit, but usable for the same purpose. StumbleUpon – Stumble had its heyday a few years back, and has dropped off in popularity quite significantly in the last few years. I wouldn’t recommend paying for their premium placement, but it doesn’t hurt to add all of your posts to the site when you make them, just for that minor boost. Technorati – A tech-focused link sharing site that thrives on fast-paced news and engagement. If you’re in the right niche, it’s a great site to use. Slashdot – Slashdot is like Technorati’s granddaddy, and it’s still used by the older generation of geeks keeping up to date with tech news and politics. Use it the same way as the above site. Quora – Not a social bookmarking site per se, Quora is a Q&A site where people ask questions and others provide answers. Your goal is to find people asking questions your content can answer, and providing that content as an answer. You can become something of a niche authority fairly easily on Quora. Bad article directories are liable to earn you a Penguin penalty for bad backlinks. Good directories, however, get your link in front of a host of new audience members, many of whom might not have known about your site before. 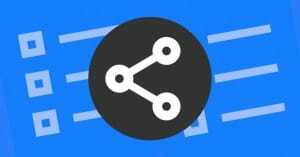 Scoop.it – This directory does more than just make a feed of recently posted articles; it allows anyone to become a curator, so you can create a feed of your own content and populate it with other great industry content to become a primary resource for others. Blog Engage – This site may not look like much from the outside, but it’s a great source of quality curated articles. You can submit your own in one of their broad categories, and then you life and die based on user upvotes. 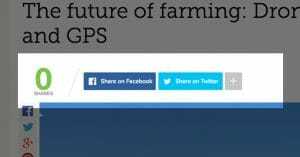 Blokube – This one is very similar in both design and execution to Blog Engage; you have a feed of posts submitted by users, sorted by upvotes. Get a dedicated following and you can top the charts with ease. EZineArticles – One of the biggest article curation and syndication sites on the net, it may seem to run afoul of Panda from time to time, but always seems to recover and keep passing good links to the people who use it. Medium – Medium isn’t so much about posting links as it is about writing stories. Rather than syndicate your blog posts, however, you can write a short supplemental post and link to your main post as a citation or resource. Every business owner has resources to throw at a problem. You might not have all of these, but some of them you can generate. Inventory what you have and add unique resources to the list. Email Signature – It’s a simple and easy idea to just add a block of information to your email signature, changing it whenever appropriate. Your social links, your contact information, all of that is standard. Spice it up by adding your best blog post each week. 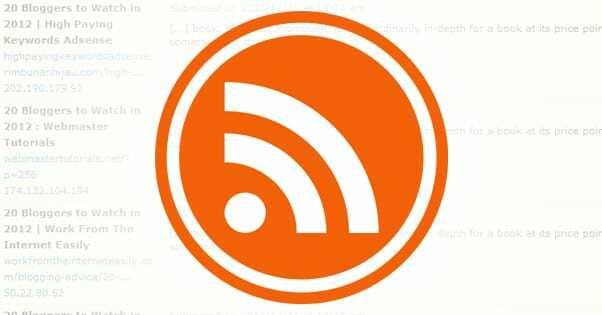 Email Newsletter – I find it’s typically a great idea to do a weekly or monthly newsletter with links to your best content, shared directly with users who want to keep up with your blog but don’t want to check it daily or subscribe to RSS. Industry Reviewers – Every industry has a blog or two that writes weekly posts as roundups of great industry content. It’s an easy way to fill out a blog. Find the people who write those posts and network with them, to get your posts on their lists. Industry Blogs – By the same token, you can identify other non-competitor industry blogs and network with the authors to get your content featured, either as curated content or as references for their own content. Industry Forums – Forums have gone downhill in value for direct marketing over the last, well, decade. These days they’re hardly good for links or for conversions at all. What they’re good for is brand awareness, community building and growing a bit of traffic. LinkedIn Groups – LinkedIn Groups are small societies of like-minded individuals in short supply. They have limited memberships and you can only join so many per account. Carefully join active communities, learn their rules, and share your content when it’s relevant. Facebook Groups – Facebook groups are like LinkedIn groups, only not as powerful or as useful in any respect. Use them if you’ve found any good ones, but don’t worry if you can’t find any that fit the bill. You can also use Event pages, if you have any related events you sponsor or manage. Big Name Sites – If you as a business owner and author can get an author position for a major site like Forbes, Huffington Post, Inc or another big web publication, use it to reference your content on occasion. Some of these might have rules against linking to your own sites; if this is the case, just use these sites for brand awareness. Podcasts – Converting your blog posts into podcasts not only allows you a wider audience – people can listen during commutes and other activities – it allows you to post your content on sites like iTunes and other podcast aggregators. Just make sure you have a voice for clear reading, and that you can properly edit, balance and filter audio. A high quality mic helps enormously with this. You knew you couldn’t get through a post like this without some mention of paid advertising, right? Well, here you go. Google Ads – Google ads are found throughout the Internet and give you a huge amount of exposure, but they can also get expensive, particularly if you’re not experienced in using them. Start small and work your way up in terms of complexity and budget. Facebook Ads – Facebook ads are more complex, often cheaper, and more limited than Google ads. However, because Facebook has an immense audience, you can get an incredible amount of reach with the right targeting options. Third Party Ad Networks – Always be careful with third party networks, because you don’t want to dump money into ads that only bring in bot traffic or traffic from clickfarms. Explore the networks thoroughly before you invest. These sites are all similar to directories or social bookmarking sites, but they’re too niche for widespread appeal. If you’re in a particular niche, though, you can take advantage of specific sites within that niche. These are only a small selection of what’s available; do your own research to find the best curators in your industry. Visual.ly (Infographics) – If you can use the data in your blog post to create an infographic, Visual.ly is a great place to share it. As an infographic hub, you can find yourself mixing in with some of the biggest names in the business. 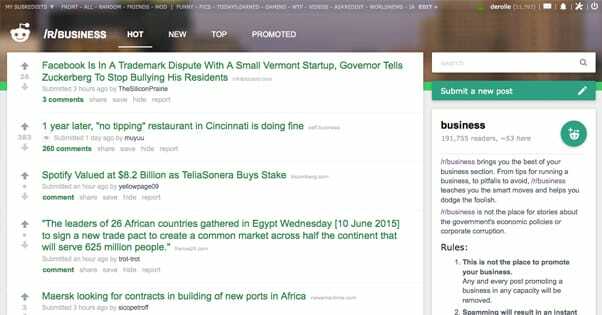 BizSugar (Small Business Content) – This site is primarily good for posts about small business management, entrepreneurship and other such concerns. Inbound.org (Marketing) – If your blog writes about marketing, whether it’s content, PPC, affiliate or some other form, Inbound is a good choice to post your link. 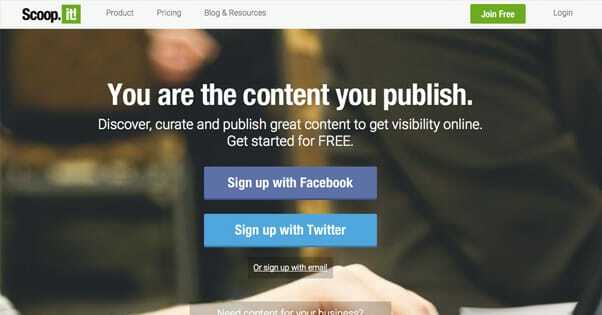 ManageWP.org (WordPress) – This site is a specific content curator for posts written about WordPress management and development. They’ll accept anything from plugin reviews to theme designs and case studies on WP migrations. 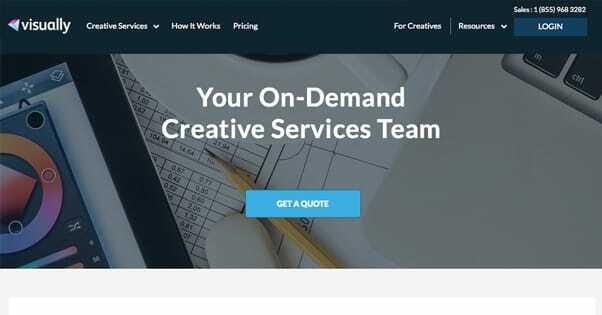 DesignFloat (Web Design) – A relatively narrow niche, web design, can still produce a lot of content. This is an absolutely brilliant place to share any case studies you have about changing design and how it affects traffic and conversions. DZone (Developer Content) – Web developers, programmers and app developers can all find a home in the content stream curated by DZone. The feed is sorted the same way a Reddit sub would be, with upvotes ruling the roost. Again, like other such directories, you can come to dominate by gathering a small following to vote up your posts. MySpace (Music and Media) – Believe it or not, Myspace not only still exists, it’s still one of the largest social networks in the world. It’s just not as focused on interaction as it once was. These days, it’s great to promote content about music and entertainment. Business2Community (Business) – B2C is a simple but massive user-submitted directory of all things business. They don’t emphasize small business like BizSugar; rather, all concerns relating to business, marketing and management can find their place. DeviantArt (Art and Design) – DA has gone through a few evolutions over the years, but it’s still a good place to go if you’re an artist or designer. While it’s primary focus is art, theme designers, spriters, and graphic artists can all gather a following on DA. Thanks ProTexting! 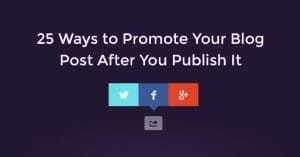 It’s tough to break away to promote blog posts individually but it’s well worth it.